Foundational topics of biology, chemistry, computer science, earth science and physics learned through an integrated problem-based approach. Small-group interactions and integrated laboratory experiments will foster teamwork and develop problem-solving and critical-thinking skills. The importance of mathematical approaches and the use of statistics will be emphasized throughout the course. Antirequisite(s): Chemistry 1302A/B; Physics 1029A/B, Physics 1302A/B, and Physics 1502A/B; Biology 1002B; Mathematics 1225A/B, and Calculus 1301A/B and Calculus 1501A/B. 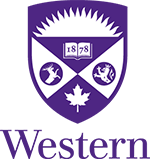 Prerequisite(s): Enrolment in Year 1 of the Western Integrated Science program and a minimum of 60% in each of Calculus 1000A/B or Calculus 1500A/B, Chemistry 1301A/B, and Physics 1301A/B or Physics 1501A/B. Extra Information: 12 lecture hours and 12 laboratory/tutorial hours per week.